The FURminator® Curry Comb is the ideal grooming tool for dogs with short, dense coats. Made with molded rubber teeth, this brush works to stimulate the production of natural oils needed to promote a healthy coat while removing dust and loose hair from your pet. The comb is also made with antimicrobial plastic to minimize the spread of germs and bacteria. The FURminator Curry Comb features a comfortable, ergonomic design with a hand strap that secure the comb for easy use even when wet. This comb is ideal for dogs with short or medium coats and is best used after brushing with a FURminator brush. 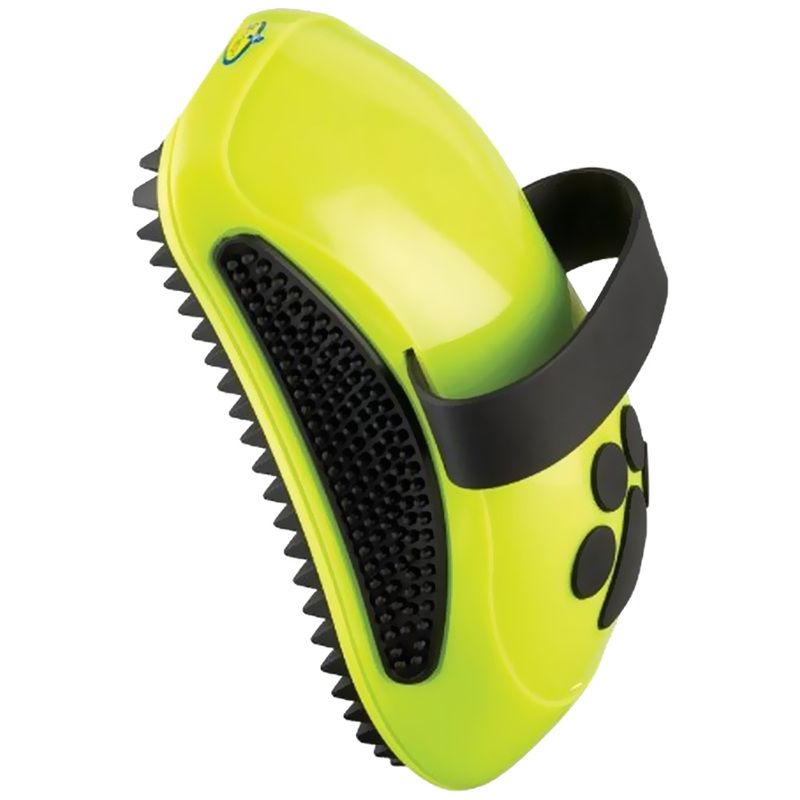 Keep your pup's coat pampered with the curry comb today! Product Dimensions: 4½" x 1¾" x 2½". Brushing is the first step to good grooming. A high quality brush helps remove debris, loose hair and break up tangles. After brushing, small pin mats and tangles often remain and are easily removed with a comb. For best results, start with a brush and finish with a comb. Your dog's coat type will determine the style of comb you should purchase. The chart below can help guide you in selecting the correct comb for your dog's coat.